The concept of an endless runner is simple. You run until you die. Despite its simplicity, endless running games are among the most ubiquitous and popular games in the App Store. This App Guide looks not only at "runners" in the strictest sense, but also at games which capture the spirit of the endless runner. These include games with other types of endless motion, as well as endlessness in dimensions other than the horizontal. Jetpack Joyride, starring the versatile Barry Steakfries, is one of the most popular games around, and it has been for some time. The game was already among the best of its kind, but it refuses to sit on its laurels. Recent updates have brought interesting gizmos and gadgets, such as a robot dog friend for Barry. What makes the game so good is that it is simple in its gameplay, yet also diverse. Power-ups make the game interesting. Missions keep the game challenging. Unlocking all the available content? Well, it's addicting. 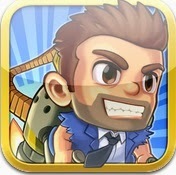 I have logged more hours on Jetpack Joyride than any other iOS game. 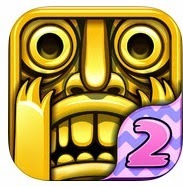 Following its predecessor Temple Run, Temple Run 2 was a success as soon as it entered the App Store. 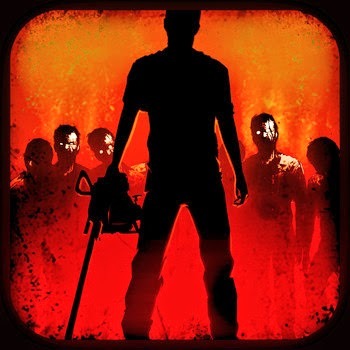 In just eight hours, the game made its way to the number one spot in the Top Free Apps. If you are a fan of the original Temple Run, then you are in for a treat. This sequel delivers with better graphics and more challenging game-play. Power-ups, utilities, and controls remain the same. A handful of the characters are back as well. If you haven't grabbed this game yet then you're missing out. I personally believe it is more fun than the original! 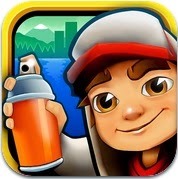 Subway Surfers combines some of the best elements of both Temple Run and Jetpack Joyride. 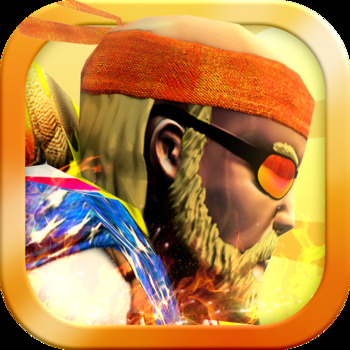 Like Temple Run, it is a delightful 3-D runner with excellent graphics and tight swipe control. It also borrows from Jetpack Joyride's model of listing three missions at a time. 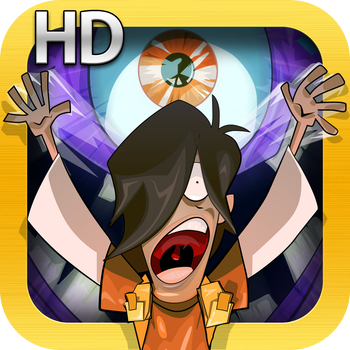 The game is highly enjoyable and also free! Tired of collecting coins and gems? Try your hand at collecting duct tape in TheEndApp instead. 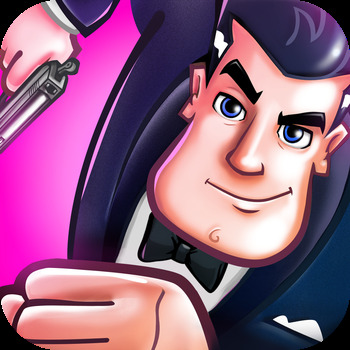 This game is similar to Temple Run and Agent Dash yet slightly different. The first difference is the setting. TheEndApp seems to take place in a post-apocalyptic world. Your obstacles in this game include fire, lava, and vehicles that are no longer on their wheels. The second difference is that this game offers you the option of playing a mission mode or to go free running. And last, but not least, you are given a health bar, allowing you to hit small obstacles without being fatal. This game is also free with the option to buy coins and is available on both iPhone and iPad. If you remember the Atari, then you more than likely remember the hit game Pitfall! Activation has been kind enough to bring this title back from the past as an endless running game. 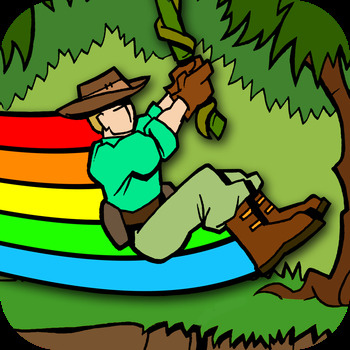 The gameplay is similar to Temple Run, but the graphics give you a retro feeling. This is neat because it seems to pay homage to the original Atari game. The camera angles also tend to shift from the over-the-shoulder view to a landscape view much like Jetpack Joyride. Into The Dead is a game that forces you to do just that: run into the dead. While I love intricate zombie games, a simple one like this can be just as intense and satisfying. The game begins with your character looking at a helicopter crash. I can only assume that your character was in the helicopter as you turn around quickly and start running. The graphics are realistic and the sound effects are hair-raising. You can easily change the controls in options. Choose between tilt-control, left and right touch, and a thumb-stick on either side of your screen. The missions and mini goals are aplenty and you can also challenge your friends to beat your high score. This game is available for both iPhone and iPad. The only downside that keeps this app from being an essential is the fact that a pop-up ad comes up randomly and there isn't a way to upgrade to an ad-free version. 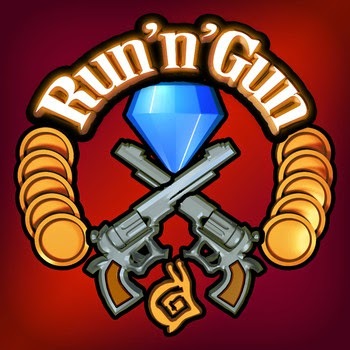 Run'n'Gun is one of the newest titles to come to the endless runner scene. The game has a very fairy tale feel to it and that's not a bad thing. It plays just like Temple Run and Agent Dash except for one thing: you shoot goblin thieves as you run. Each hit forces the goblin to drop a gold coin. Collect these gold coins to unlock equipment, upgrades, and characters. This is, in fact, a tilt game. It is free in the App Store and is available for both iPhone and iPad. I love RPGs so I suppose it's only right that I love One Epic Knight. Not to mention that the graphics are pleasing and the audio is hilarious. 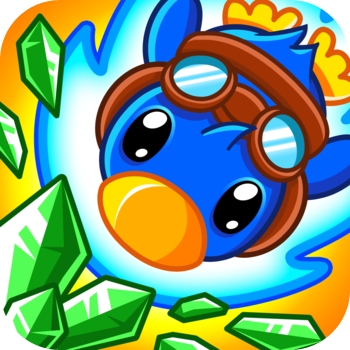 In this endless runner, you barge through the doors of a dungeon and, of course, avoid the obstacles. Those obstacles are anything from traps to goblin enemies. There is even a cube of Jello that can block your path, which never fails to make me laugh. A unique thing about this game is that it doesn't contain the traditional power ups. There are random shields and swords throughout the dungeon that are made to withstand the obstacle or foe in your way. In order to control your knight, you need to swipe left or right. I wish this game offered tilt controls because swiping just doesn't feel comfortable for an endless runner at times. Because endless runners are rather repetitive in nature, it often takes an extra helping of personality to set an endless running game apart. Personality is this game's greatest asset. The gameplay is nothing groundbreaking. You possess a red gauntlet and a blue gauntlet. If you face red colored opposition, you tap on the left side of the screen. For blue obstacles, you tap on the right side. With its quirky, yet excellent graphics and its electric guitar-driven music, Escape from Age of Monsters gets the adrenaline pumping. I recommend the game, although I realize that part of the appeal comes from the fact that I am a sucker for good packaging. The game is good, but also has really good packaging. It also has a separate iPhone version. Do you like to smash things? Do you have a knack for pix-elated games? Then you'll love Punch Quest. 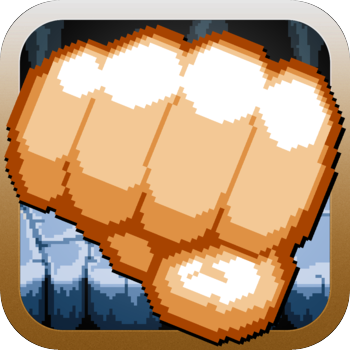 The main objective of Punch Quest is to smash your enemies in order to gain points. The longer a combo, the more points you score. You can also snag bags from imps or treasure chests that are full of coins. These coins are then used to purchase skills, accessories, and upgrades. The fact that you can change your character's look and ride a raptor makes this one cool game different from the other endless running games. This game is free and is available on both iPhone and iPad. 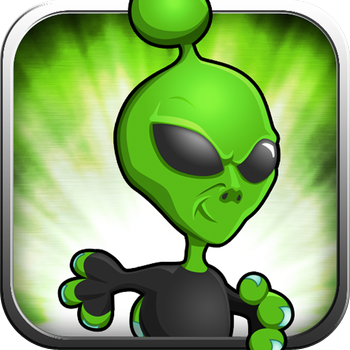 In Infinity Run 3D, it is your duty to save the Mashuran Empire. 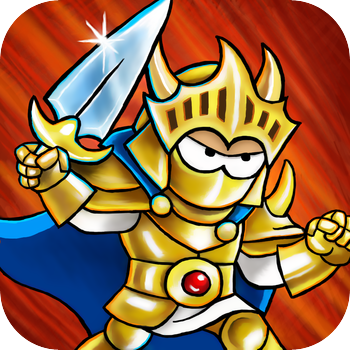 This game reminds me slightly of One Epic Knight because it does have an RPG influence. It just isn't quirky. It also has the same gaming fundamentals and controls of Temple Run, but it doesn't have the same feel. In fact, I don't think the reaction from swiping is timely enough. It seems a bit late. This game is addicting and fun, but because it is broken down into levels, I can't say that it is a true endless runner. The games so far have featured unicorns, monsters, and monstrous temple protectors, among other things. It was only a matter of time before we got to little green aliens. In a vacuum, Rush City is a very good representative of endless runners. It's got the key components of accessibility, personality, and fun. It just doesn't offer as much as some of the other games on this list. That's not so much an indictment on Rush City as it is a commentary to the quality of endless running games available. I personally could kill a decent amount of time with this game. And I did. There is a current obsession with zombie games. This endless runner offers something the above games do not; you can add to your number of runners. Every person you eat becomes a zombie groupie that helps you create even more carnage. It's quite entertaining to try to grow your horde. 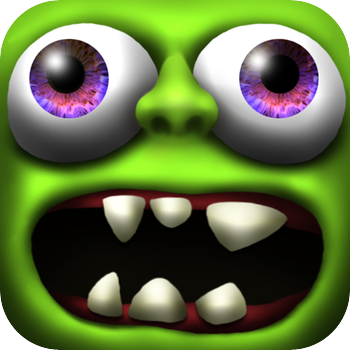 If you're looking for a zombie-themed endless runner, this is the one to get. 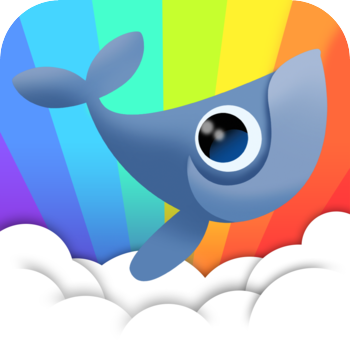 Whale Trail is unique among all the games on this list in the sense that it features no concept of ground at all; even the bird in Tiny Wings needs to touch down once in awhile. Whale Trail is a pure example of an "endless flyer," which is an interesting concept, given that the subject is a giant whale. 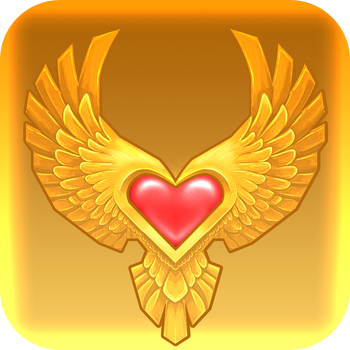 Recent updates have introduced a "freemium" model to the game, which has resulted in a good number of negative reviews. I feel like the game has become more difficult and has lost some of its previous charm. However, the update did bring new costumes, characters, and wallpapers. The game may not be as good as it was, but is still worth mentioning. We've looked at endless runners and even an endless flyer. This adorable game takes us into the realm of the endless miner. You trace digging paths, while circumventing obstacles. There are special items to find and power-ups to collect. This game is going to be successful, not only for its gameplay, but because it is extremely cute.